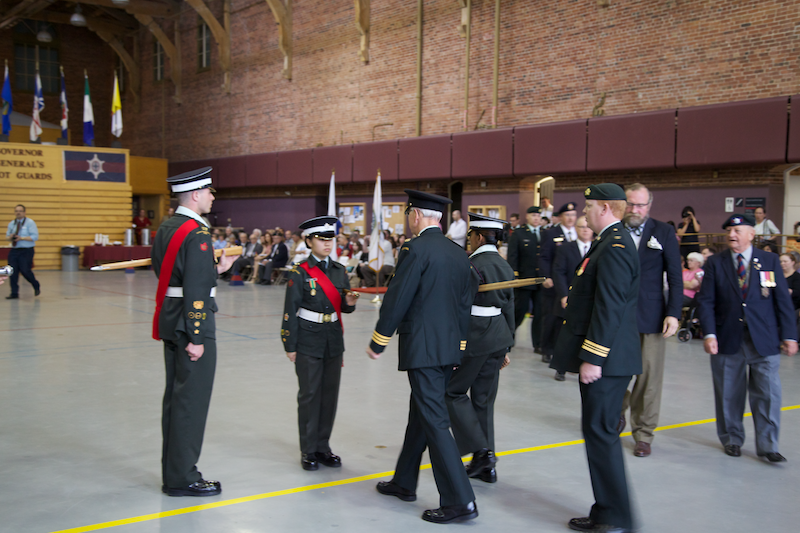 The Annual Inspection for the 2784 Governor Generals' Foot Guard Cadets will take place at the Cartier Square Drill Hall. All members are welcome to attend. 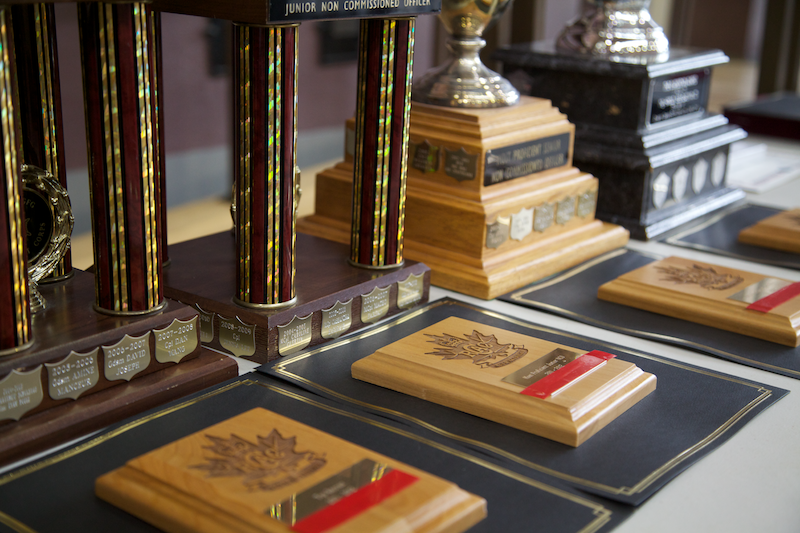 The 2784 GGFG Cadets had some great results this year. The Biathlon Team consists of 10 Cadets lead by Cadet Master Warrant Officer Gavin Omand, and consisting of Cadet Acting Colour/Sergeant Evan Wight, Cadet Sergeant Rachel FritzNémeth, Cadet Sergeant Amanda Godefroy, Cadet Master Corporal Magnus Crónín, Cadet Master Corporal Thomas Fairweather, Cadet Master Corporal Geneviève Fritz-Németh, Cadet Corporal Max Reesink, Cadet Corporal Oliver Streibel-May and Cadet Guardsman Piaper Veinotte. Over the past 5 months these 12 dedicated Cadets have given up their Sunday mornings and Monday evenings to develop the skills, strength and endurance required by all Biathletes. While some of these Cadets only really discovered Biathlon this year, others have been competing for a number of seasons. Braving the cold, sleet and snow, these extraordinary young people represented 2784 GGFG at the Eastern Ontario Area competition where the female team, consisting of Godefroy, FritzNémeth, R. and Veinotte placed 1st and the male team of Omand, Cronin and Streibel-May took 2nd place in their respective categories; allowing 7 of the teams cadets to advance to Provincials in Sault Ste. Marie. At the Sault Ste, Marie competition, the team skied hard and shot straight. The GGFG Cadets have gone live with a new site that includes links to their Flickr and Twitter streams. 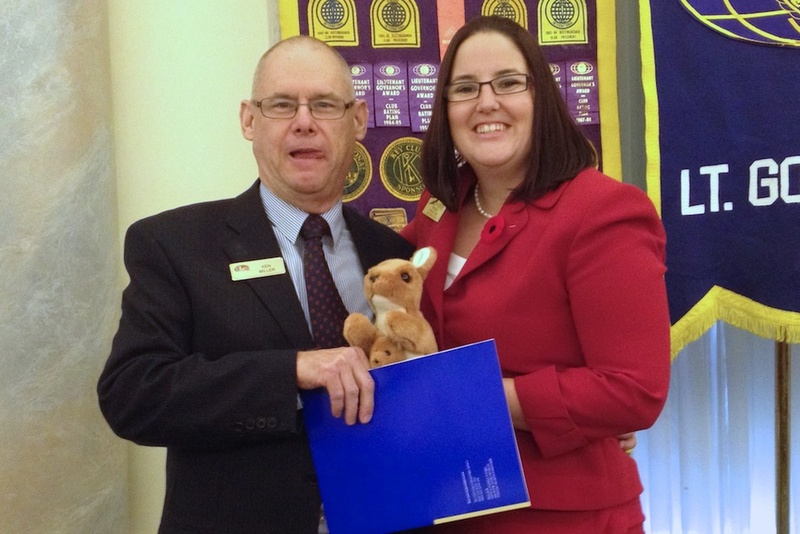 President Alison honoured two active members today. Firstly, Ross Christesen took a leading role in establishing the “Pass the Torch” campaign to raise funds for the War Museum. He has also recently served as a very active Chair of our Membership Committee. 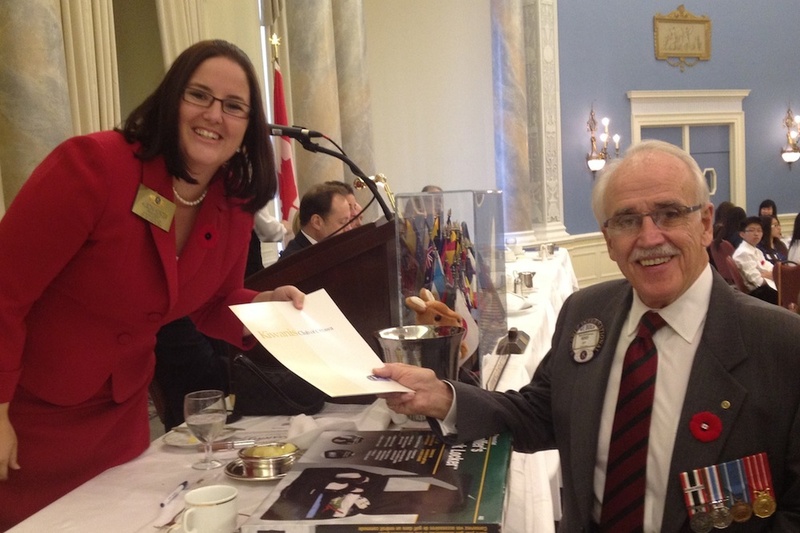 Secondly, Ken Miller was honoured for his long record of working on our Cadets Committee. Our Guest Speaker was Sergeant Bjarne Nielsen, from the 1st Battalion, Royal Canadian Regiment, talked to us about the “fighting spirit” of Canadians, a spirit with which we overcome adversity to succeed and which was first exemplified during the War of 1812, then through two world wars, the Korean conflict and Afghanistan. 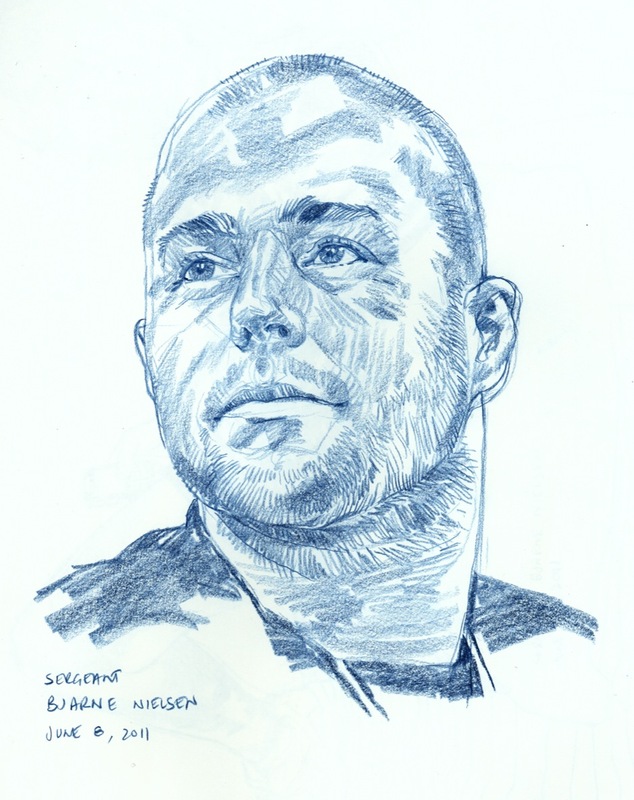 Sergeant Nielen’s bravery in battle and through his long recovery from horrific wounds demonstrates this fighting spirit big time. 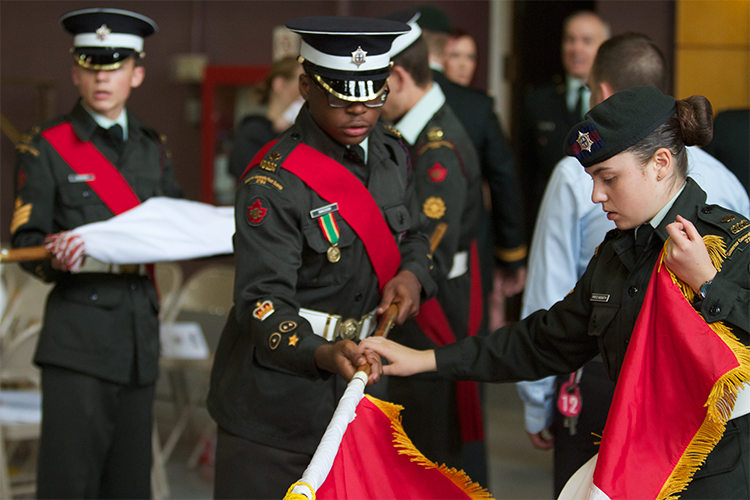 We were joined by the Cadets Color Party who led the March and share with us their Flag Presentation. We proudly recognized the war veterans in attendance. 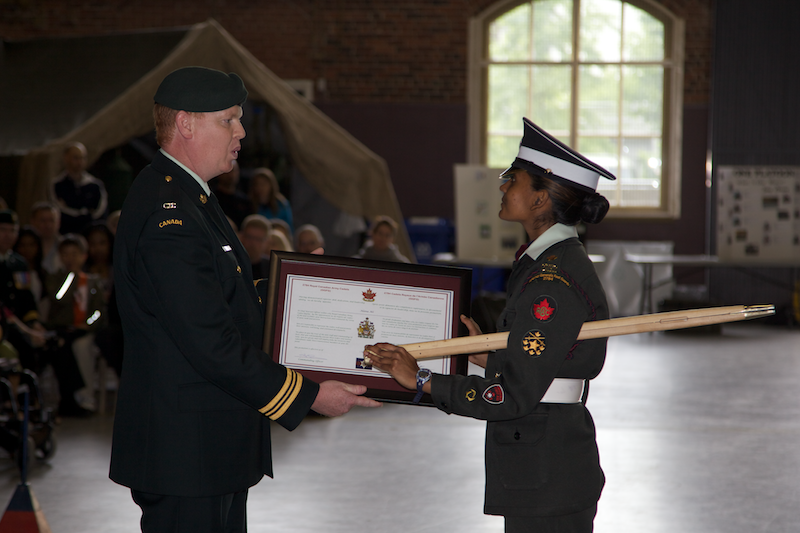 After a demanding week of competition against over 200 staff cadets from across Ontario, Cadet Anada Silva was promoted to the rank of Cadet/Chief Warrant Officer (C/CWO) and appointed as the highest ranking cadet at the Blackdown Cadet Training Centre. 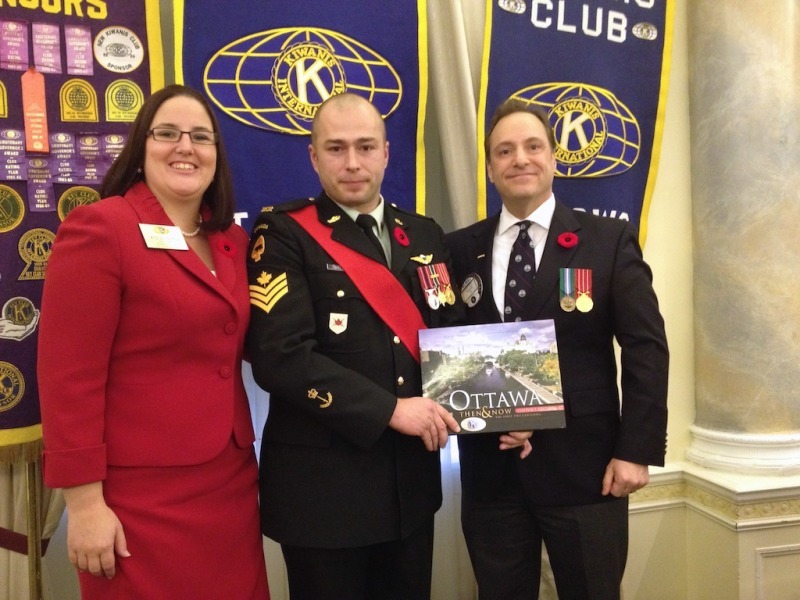 Cadet Silva is with the Governor General's Foot Guard Cadets sponsored by the Club. 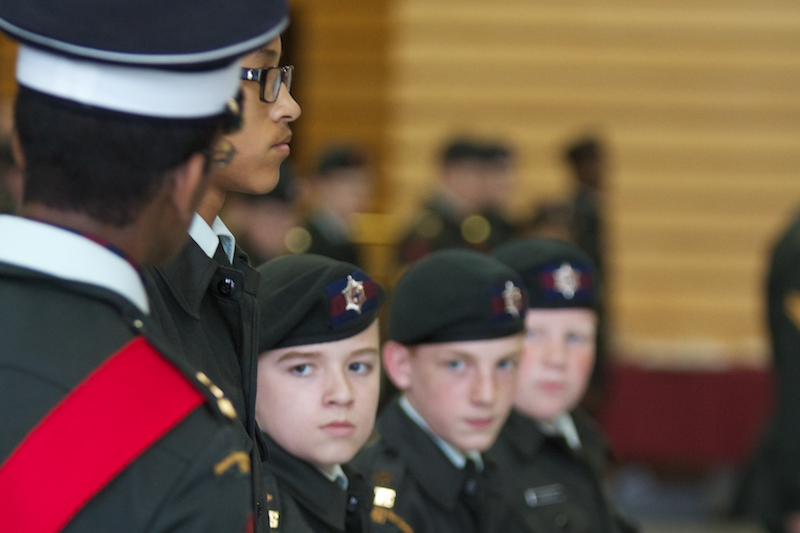 This rank selection process consisted of army, sea, and air cadets who had applied for a summer cadet staff position. Each participant was placed into a group and assessed based on their instructional, navigational and leadership abilities. 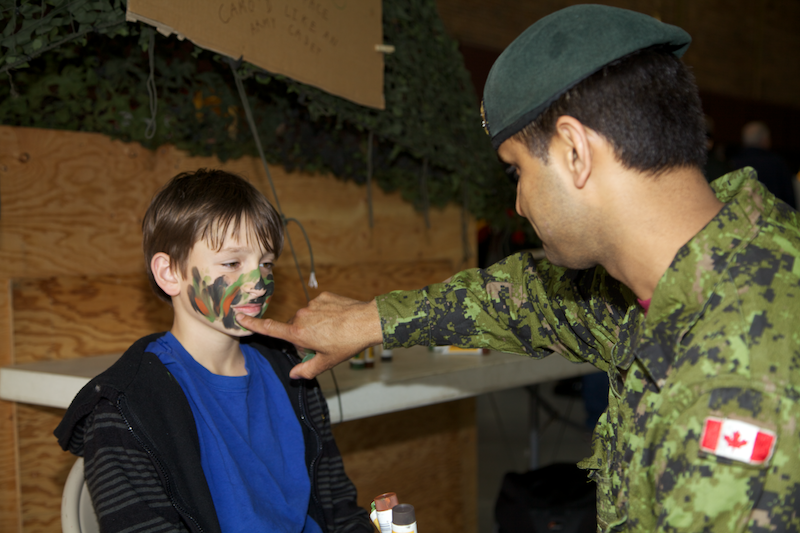 Additionally, the cadets were tested on their cadet theoretical knowledge. More details are posted here. 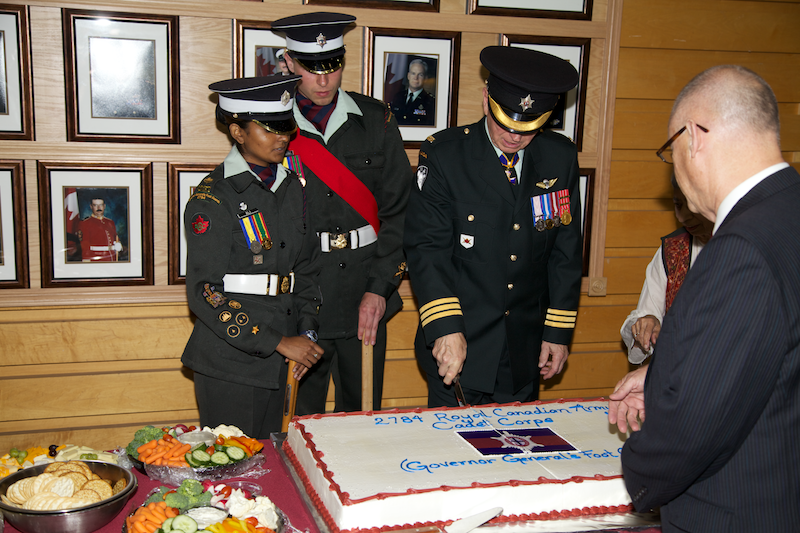 The Club is proud of being the sponsor of the 2784 Governor General's Foot Guards Cadets. 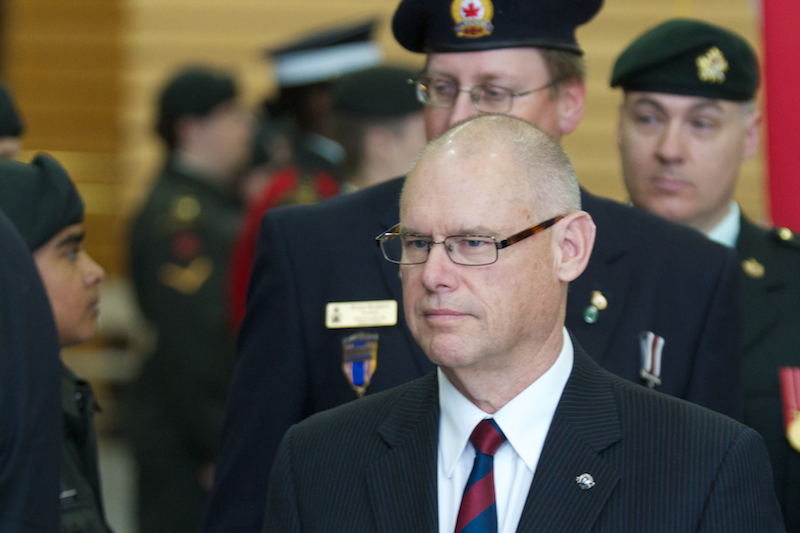 The unit plays a major role in ceremonial events throughout Ottawa and has achieved numerous provincial and national awards. A small set of photos from the event are posted here, with a full set here. Every year, Canada's largest live trivia event raises money for the Champions for Children Foundation, which promotes and funds programs provided by The Children's Aid Society of Ottawa for the vulnerable children of our community; children who have suffered abuse and neglect through no fault of their own. Thank you to our sponsored youth! The Champions For Children Foundation's "World Trivia Night"